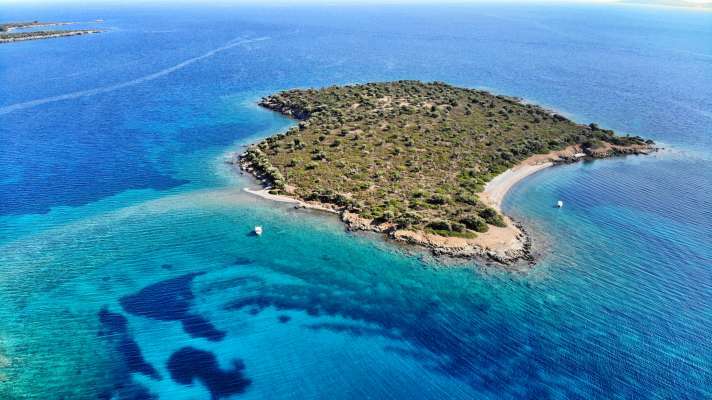 The availability of Spalathronisi represents a rare opportunity to own a sizable piece of Greek nirvana. 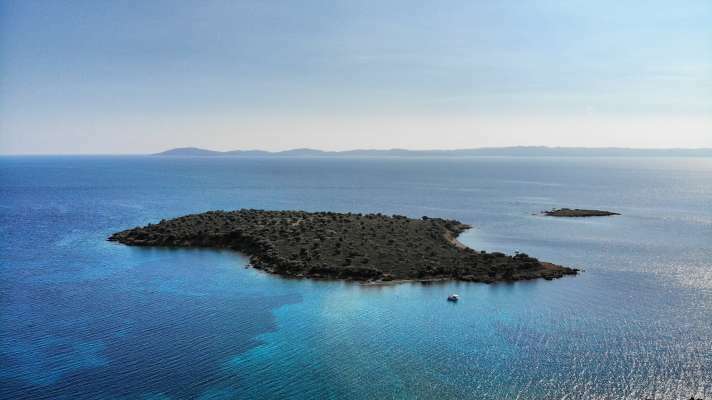 This 26.4-acre blank slate of an island is located in the Halkidiki region of northern Greece, where it rests off the southwestern coast of the middle peninsula known as Sithonia. With some of the cleanest beaches in the world and its Mediterranean forests sloping to the gorgeous Aegean Sea, northern Greece is often thought of as the country’s best-kept secret. Far removed from the madness of its touristy southern counterpart, it delivers solitude and unparalleled deep-blue beauty. Spalathronisi, untouched and privately owned, is covered primarily in olive trees, low brush and bushes. The region, thanks to its climate and to the structure of its land, is known for producing olives and oil that are distinctive for their taste, quality, and high nutritional value. 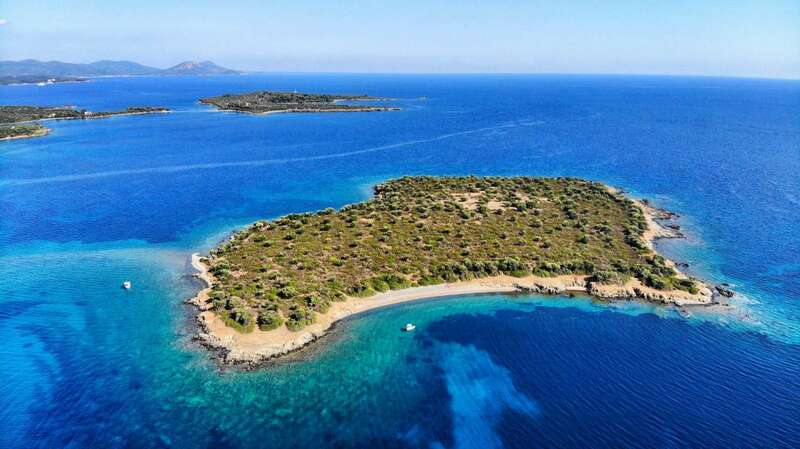 The island harbors several spectacular natural beaches, including a large one that is a perfect half-moon treasure, facing west-northwest and hidden from the mainland. 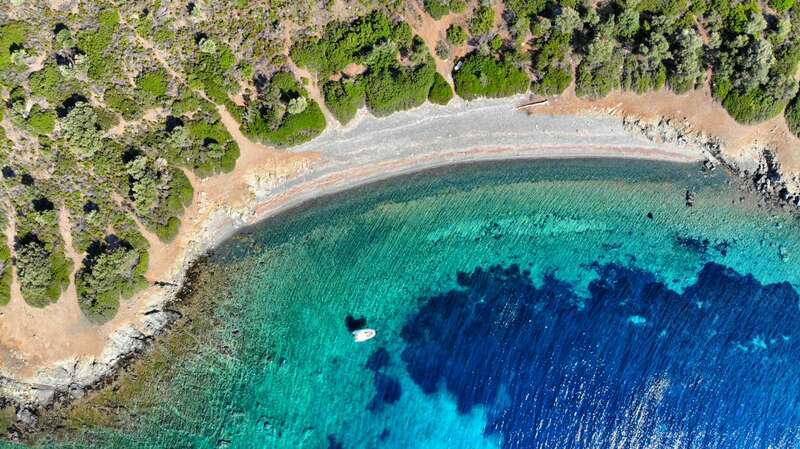 Though it feels remote, Spalathronisi’s neighboring stretch of Sithonia coastline is just 75 miles from the international airport in Thessaloniki, Greece’s second-largest city. 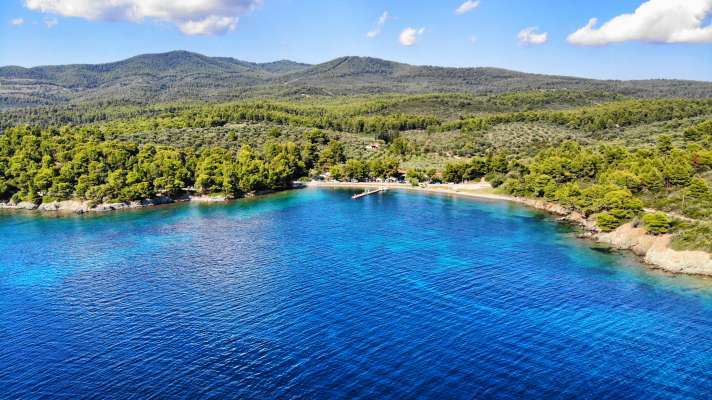 Development possibilities include a tourist complex with a primary-use area of up to 43,000 square feet and auxiliary space of more than 21,000 square feet; two residences of 1,600 square feet each; or a single residence of 3,200 square feet. Residential projects would also allow for secondary building zones. 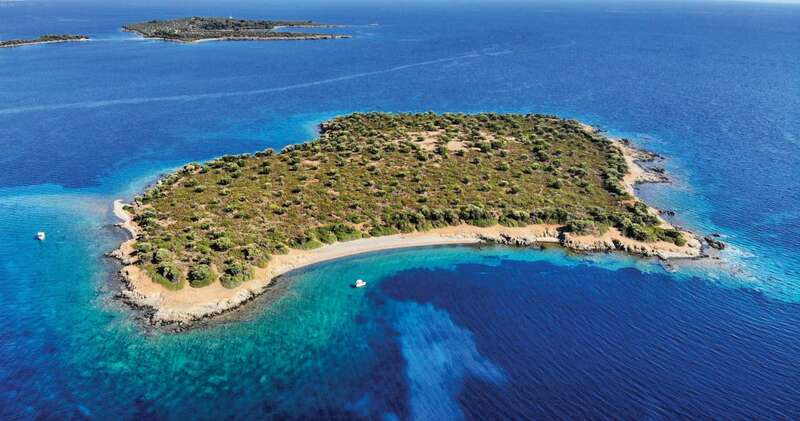 Spalathronisi is only 0.3 miles from the mainland, making it easy to access water and electricity—as well as a popular local fish restaurant. Well-known resort complex Porto Carras is also nearby. 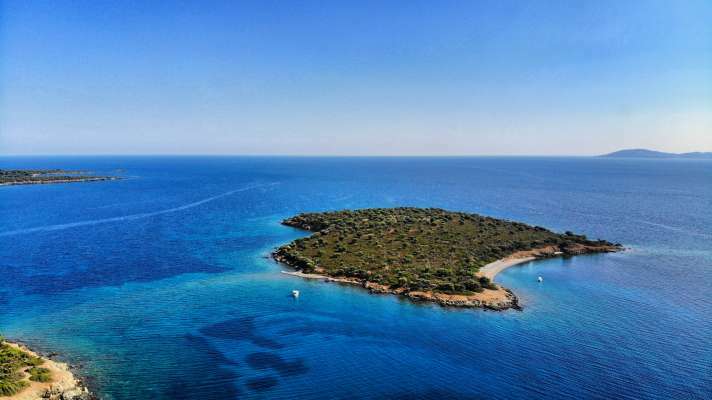 Boating, mountain biking, diving and hiking are among the many activities available in a landscape as dramatic as any Greek play.